With more than 45 years of experience in commercial and institutional HVAC mechanical projects, Mock Plumbing & Mechanical, Inc. provides customers with quality installations by adhering to the highest standards of professionalism and safety throughout the construction and commissioning process. 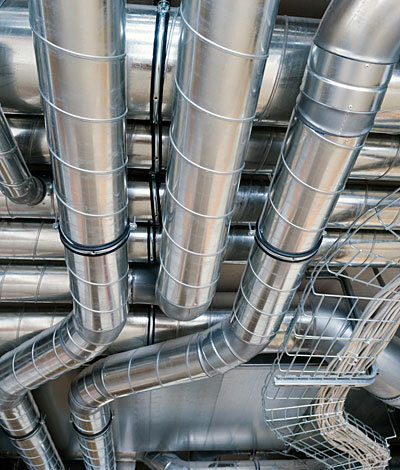 The team of HVAC professionals at Mock Plumbing & Mechanical, Inc. has developed an outstanding reputation for their ASHRAE ventilation technology for projects in every industry sector. We lead the way in the use of the latest technology, both in the design phase, as well as, in project application. Our use of 3-dimensional CAD drawings provides more productive, higher quality and safer installations. We work closely with general contractors, construction managers, engineers and project owners to complete our projects on time and on budget, all the while maintaining a constant focus on safety.